Now that students have settled into their new Fall schedules and are ready to apply themselves in their studies, we have listed 10 music competetions for young musicians in Los Angeles to test their abilities. This is also a guide for parents to learn about upcoming deadlines for these fabulous oportunities to motivate their children. Awards: Cash awards of up to $10,000, plus the opportunity to get nominated as a U.S. Presidential Scholar in the Arts and access to significant scholarship opportunities. About: The National YoungArts Foundation identifies and supports the next generation of artists in the visual, literary, design and performing arts; assists them at critical junctures in their educational and professional development; and raises appreciation for the arts in American society. Competition Date: Pre-eliminary Auditions January 16-30, 2016. Divisions: Acting, Ballet, Non Classical Dance, Classical Voice, Non Classical Voice, Classical Instrumental or Jazz Instrumental. Awards: Cash scholarships up to $5,000, master classes with world renowned artists, performing arts workshops and more. About: Spotlight is a scholarship and training in the arts program, which encourages personal and artistic growth, while exploring new possibilities in the arts! Southern California High School students of ALL talent levels are encouraged to apply for FREE. Competition Date: April 23, 2016. Awards: Cash awards, medals, performances. About: Every year since 1983, the Elvin Samuel McGaughey Music Foundation has awarded grants to yound outstanding musicians. Mimi McGaughey, a Glendale pianist and teacher, started the foundation in honor of her husband, who had been a loyal supporter of young piano students for much of his lifetime. The Glendale Piano Conpetition is open to students in Grades 3-12. Auditions are held in April in and around Glendale, CA. Registration dates: To be posted in October 2015. Divisions: 3; ages up to 12, ages of 13-17, and ages of 18-32. About: Los Angeles Young Musician International Competition is a California Non-profit organization with a mission to explore the talents of young musicians, provide performance experiences for young musicians, bring different cultures together with the music, provide international young musicians possible educational opportunities, and encourage music appreciation. About: Our main goal is to encourage and help the young generation of pianists following in Paderewski’s footsteps through the invitation of the best pianistic talents from around the globe to the American Paderewski Piano Competition-Los Angeles. About: The Klein Competition has achieved international recognition as one of the most prestigious classical music competitions, recognized for the high caliber of the contestants, its unique, nurturing environment, and its commitment to the commissioning of new works. It is open to violinists, violists, cellists and bassists. 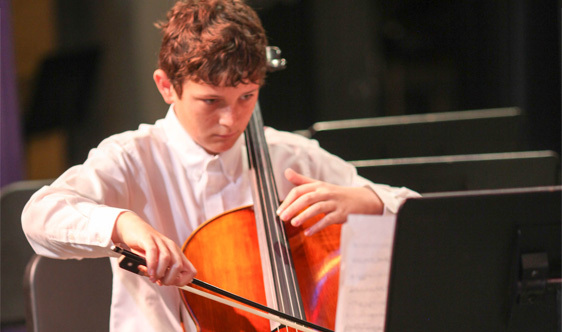 About: The MTAC-West Los Angeles Branch Concerto Competition provides students an opportunity to perform a movement of a concerto with the Culver City Chamber Orchestra at the Young Artists Concert on Sunday May 1, 2016. Now open to students of all MTAC teachers. For the following solo instruments: Violin, Violoncello, Flute and Piano. Registration dates: Video entries must be submitted by 2:00 am Central time on February 2, 2016. About: The North American Online Competition for Singers is the only vocal competition for all of North America aimed at young singers, ages 23 and under, and one of the first legitimate competitions for music students held entirely online. Registration dates: October 1st , 2015 through October 10th. Awards: Trophies and performance opportunities.